Connect your iPod or iPhone to your car's radio system with our vehicle specific adapters. You can also connect your mobile for Bluetooth hands free calling. 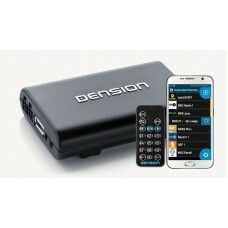 Supported devices include iPhone, Android smartphones, Samsung and Windows mobile. 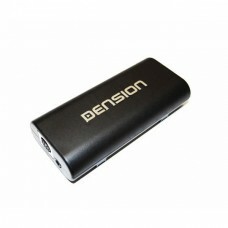 The best sound quality and browsing features are available only from DENSION! Dension Gateway Pro BT Dension Gateway Pro BT adapter allows you to connect i..
Dension iGateway GW17AC1 The Dension iPod Interface brings complete integrati..
Dension iGateway The Dension iPod Interface brings complete integration of th..
Dension DAB+M - InCar Digital DAB & Bluetooth Receiver T..
Dension DAB+A - InCar Digital DAB Receiver The perfect solutio..
DAB Through USB The Dension DAB+U DAB-Radio Receiver is the versatile solutio..